Our goal is to be a center of excellence that serves children and their families impacted by all types of traumatic events including sexual abuse, physical abuse, domestic and community violence. The assessment and treatment services are provided in a child friendly and supportive environment by credentialed and licensed therapists specifically trained as experts in trauma. Our response is to institute an individualized treatment plan using evidenced based modalities that optimize positive outcomes and reduce the impact of trauma on children and their families. The Sexual Abuse Treatment Program is one of the many therapy options under the Trauma Treatment Program of the Children’s Advocacy Center. The Sexual Abuse Treatment Program of Pasco and Hernando Counties is designated by the Florida Department of Health as one of only fourteen sexual abuse treatment programs across the state of Florida. The Trauma Treatment Program also serves child victims of other traumatic events such as physical abuse, domestic violence, traumatic grief and community violence. Our therapists are licensed or licensed eligible clinicians with extensive training and expertise in sexual abuse, physical abuse and trauma. Each team member is a certified trauma professional skilled in only the most effective therapies to overcome the effects of the many traumatic events that may impact victims and their families. Our Trauma Treatment Program proactively assists both the child and the non-offending family members to cope with the emotional effects of trauma that may impact their sense of trust, safety, and self. The entire family can often benefit from and contribute to the therapeutic process. Family participation not only helps heal the wounds of trauma, but also promotes healthy family functioning and safety for the future. 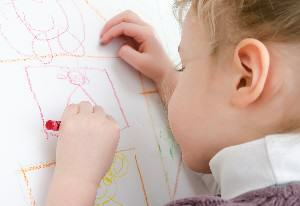 Therapy treatment is provided at no cost to the child victim or parent. The funding is provided by the Florida Department of Health Children’s Medical Services, Office of the Attorney General (Victim of Crime Act and Crime Victim’s Compensation), Florida Coalition of Children’s Advocacy Centers and donations from members of the community. The Trauma Treatment Program is a trusted provider for Dependency and Family Law Courts in multiple counties in providing expertise in assessments, treatment and recommendations. 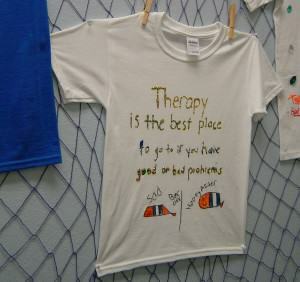 To learn more about Pasco Kids First’s Tee Shirt Therapy, as seen in the photo to the left, click on Tee Shirt Gallery. Donations to support our program are provided by people like yourself that care and want to help. Please donate to our program, so we can continue to provide treatment that heals the hurt. Specially trained therapists utilize play as one tool to assist children in working through the effects of traumatic events. Our program provides a full array of services for education, prevention. assessment, treatment and intervention to all members of the family affected by trauma. Treatment provided through our program includes the following therapies: individual, family, group and non-offending parent treatment. In addition, we provide consultation to community partners as well as providing specialized training and education on the impact of trauma on children and families. Our team has been recognized by the community as experts in the field of identifying and treating victims of sexual, physical, emotional abuse as well as trauma. Our Child Victim Advocate assists the child and family as they navigate through the legal system, as well as linking the family to helpful resources and referrals within the local community. This past year, there were approximately 350 cases opened and more than 2,000 therapy sessions were provided over the year. Our treatment program serves child victim’s from age 3 through 18 as well as their families that live in Pasco or Hernando Counties. Case are referred from many sources including: the Pasco County Sheriff’s Office, Child Protective Investigations, Eckerd Community Alternatives, Pasco County Schools, other community agencies, and directly from parent caregivers. The criteria for admission requires the abuse must be already reported to the Child Abuse Hotline and/or Law Enforcement and the symptoms that the child is exhibiting symptoms that interfere with day to day functioning. Sexual Abuse Assessment for child victims of abuse and or sexually reactive children. Therapeutic Visitations for child victims of trauma and their parents/caregivers. This requires a court order often is initiated due to the child’s significant trauma that necessitates therapeutic intervention. The Child Victim Advocate works collaboratively to meet the needs of the children and families we serve. They offer vital resources and support to families dealing with abuse. Crisis Support for children and families. Collaboration with law enforcement, the Child Protective Investigations, and the Child Protection Team case coordinators to provide prompt intervention and referral services to the victim and family. Assistance to families in explaining and applying for Crime Victim’s Compensation and Civil Justice. Referrals to community resources including: food, clothing, medical, parenting, mental health counseling and evaluation, substance abuse programs, and financial assistance. Participates in Multi-Disciplinary Team staffing of critical cases. “Our daughter has been going to Pasco Kids First weekly for almost a year. Mary and all of the staff there have been great! Mary always takes the time to meet with us after every session and checks on the needs of not only the children but the parents as well. 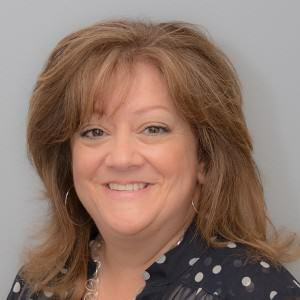 Mary has been an advocate for our child and often communicates with case management. Since going to Pasco Kids First our child has shown a significant change in behavior and has a new confidence in herself. ” – V.M. Pasco Kids First Trauma Treatment Team from Nature Coast.TV on Vimeo.